A revolution is taking place! 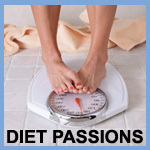 Millions of people are discovering a new way of thinking about their weight, their health, and their lives. They are taking part in a visionary approach to weight loss that combines goal setting, nutrition, exercise, motivation, and community that has a proven track record of ten million pounds lost. From the experts who created SparkPeople.com, one of the most successful online weight-loss programs to date, comes The Spark, a ground-breaking book that focuses on what you can do, instead of what you canÃƒÂ¢Ã¢Â‚Â¬Ã¢Â„Â¢t do. The Spark is about transforming your life and your idea of what dieting means. The Spark delivers inspirational health and weight-loss advice that will surely spark countless lives.